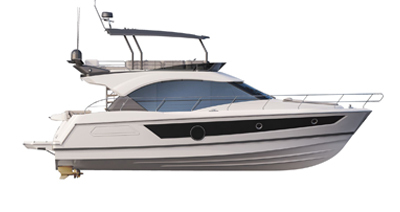 The latest in innovation, the Sense 50 redefines modern design and luxury on the water. From bow to stern, she surprises with the greatest in space, simplicity and cruising comfort. Designed to sail closer to the water, her moderate heel is ideal for a more relaxed cruise. 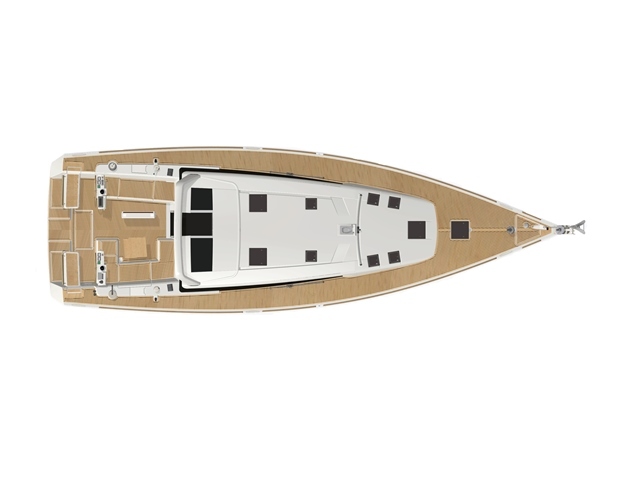 Offering the upmost in safety and performance, the Sense 50's spacious cockpit includes a dual helm and plenty of space under the sails. 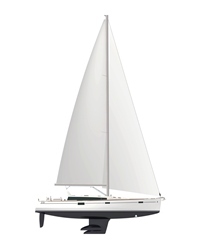 At anchor, with easy access to the water, the U-shaped layout of the cockpit seats and retractable table can be converted into a sun deck. Only three steps through the gently sloped companionway connect the brilliance of life outdoors to the sophisticated interior. A full beam salon and wraparound view paired with the comfortable settee and oversized galley, makes the Sense 50’s interior comparable to that of a catamaran. Surrounded by windows, the interior is bathed in natural light and provides a panoramic view of the horizon. The choice of layout, between a side cabin with two bunk beds and an office/workshop, offers a new view of life on board – unique on this type of cruiser. The service area to portside can be fitted out as an extra cabin. The U-shaped layout of the starboard cockpit seats, around a modular and retractable table, allows conversion of this space into a huge sunbathing area.